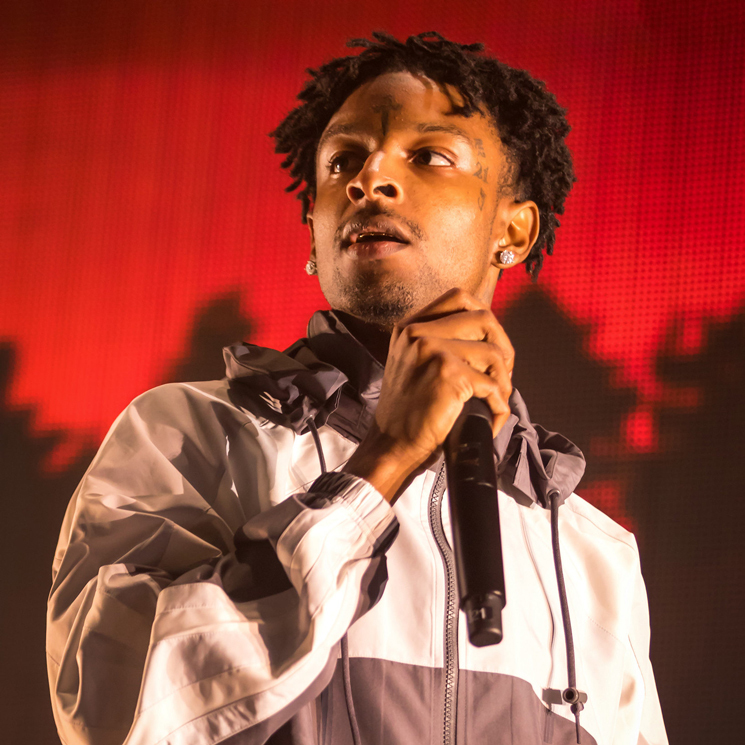 "Some of them was funny"
Earlier this month, 21 Savage was arrested by U.S. Immigration and Customs Enforcement (ICE), leading the world to learn the Atlanta rapper was actually born in England. Having been released on bond, he's now speaking out about the arrest. In doing so, 21 Savage also admitted that he kinda liked some of the memes people made about him. I don't care what nobody say — everybody in that building who's connected to this culture, I was on their mind in some type of way. That's all that mattered. They didn't have to say it 'cause everybody knew it. It was in the air. All the people that was there, they said the words in other places and that matter just as much. All the big artists was vocal about the situation, so I was appreciative. Even the memes. Some of them was funny — I ain't gonna lie. I was appreciative of that. I coulda been another person who just, 'He locked up? Damn,' and nobody said nothing. Some people, I see why they was mad. It ain't about the meme, it's about the bigger picture. But I done been through way worse things in my life than somebody putting me on a meme. I been shot — what is a meme? A meme is nothing. That's something on the internet that I can do like this [turns over phone] and never see again. I look at bullet scars every day, so it's like, a meme, bro? Yeah, I feel a responsibility. My situation is important 'cause I represent poor black Americans and I represent poor immigrant Americans. You gotta think about all the millions of people that ain't 21 Savage that's in 21 Savage shoes. Upon his arrest, the internet was flooded with memes, as well as backlash over said memes. Demi Lovato tweeted that she had been enjoying memes about 21 Savage's British heritage, and the backlash was so strong that she deleted her Twitter account. Through his lawyers, Savage confirmed that he was born in the United Kingdom and had immigrated to the U.S. at age 7. The rapper claimed he lost his legal status in 2006 "through no fault of his own" and had filed for a new visa in 2017.